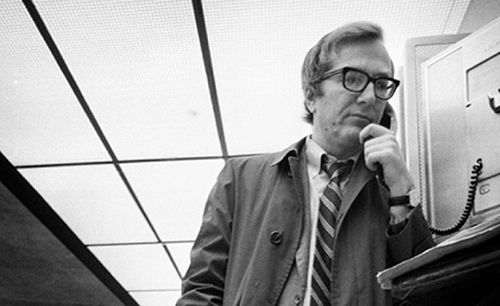 Today we celebrate the release of Seymour Hersh’s latest major work of investigative journalism, The Killing of Osama bin Laden, which expands upon Hersh’s finding that the story behind bin Laden’s death was a political construction by the Obama administration, rather than a reflection of the facts. In a body of work spanning decades, Hersh’s investigations have upended the status-quo of the power elite, subverted systemic corruption, turned public opinion against an unjust war, and hastened the eventual end of another. 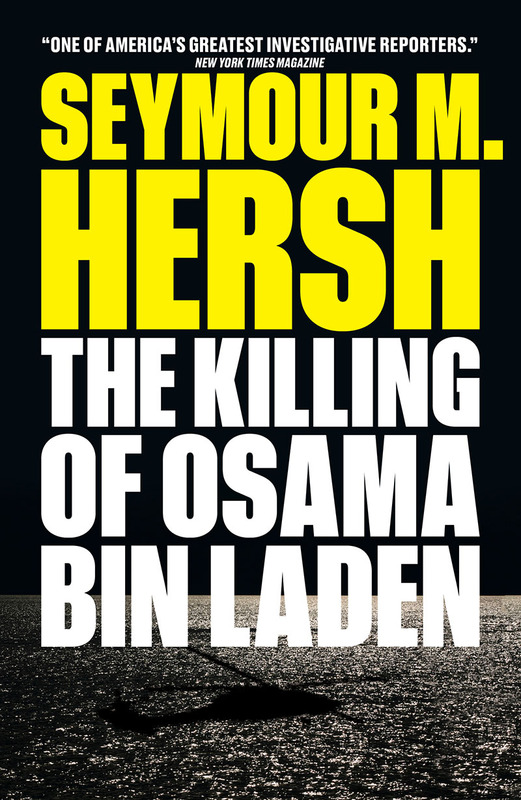 On the occasion of the release of The Killing of Osama bin Laden, we provide a round-up of scenes from Hersh's most transformative investigative work, earning him the title of "the last great American reporter." The Army calls it murder; Calley, his counsel and others associated with the incident describe it as a case of carrying out orders. An excerpt from chapter five, "Cambodia: The Secret Bombing." In the first few weeks of the new administration, Kissinger ordered the Pentagon to present a highly classified briefing on bombing options available in the Vietnam War. The task fell to Air Force Colonel Ray B. Sitton, an experienced Strategic Air Command officer serving the Joint Chiefs of Staff. Sitton was known in the Pentagon as "Mr. B-52." It was an unusual exercise, Sitton says. "I drew up a big list-on a board about three feet high and eight or nine feet wide-of military steps you might make that would signal North Vietnam that we meant business. Kissinger wanted them to know that we were serious about possible escalation." Nixon and Kissinger had found the right signal to send: By mid-March 1969 they would secretly begin bombing Cambodia with B-52s: aircraft, the eight-engine jets that were the core of the strategic bombing fleet. The bombing became a turning point not only in the war but also in the mentality of the White House. The secret of that bombing-and hundreds of later missions- would be kept for five years. Eventually, the secret became more important to the White House than the bombing. “It was normal for us to see [Richard] Perle,” Khashoggi told me. “We in the Middle East are accustomed to politicians who use their offices for whatever business they want. I organized the lunch for the purpose of Harb Zuhair to put his language to Perle. Perle politely listened, and the lunch was over.” Zuhair, in a telephone conversation with me, recalled that Perle had made it clear at the lunch that “he was above the money. He said he was more involved in politics, and the business is through the company”—Trireme. Perle, throughout the lunch, “stuck to his idea that ‘we have to get rid of Saddam,’ ” Zuhair said. As of early March, to the knowledge of Zuhair, no Saudi money had yet been invested in Trireme [a venture-capital company where Perle is managing partner]. The point is not that the President and his senior aides were consciously lying. What was taking place was much more systematic—and potentially just as troublesome. Kenneth Pollack, a former National Security Council expert on Iraq, whose book “The Threatening Storm” generally supported the use of force to remove Saddam Hussein, told me that what the Bush people did was “dismantle the existing filtering process that for fifty years had been preventing the policymakers from getting bad information. They created stovepipes to get the information they wanted directly to the top leadership. Their position is that the professional bureaucracy is deliberately and maliciously keeping information from them. In the era of Saddam Hussein, Abu Ghraib, twenty miles west of Baghdad, was one of the world’s most notorious prisons, with torture, weekly executions, and vile living conditions. As many as fifty thousand men and women—no accurate count is possible—were jammed into Abu Ghraib at one time, in twelve-by-twelve-foot cells that were little more than human holding pits. In the looting that followed the regime’s collapse, last April, the huge prison complex, by then deserted, was stripped of everything that could be removed, including doors, windows, and bricks. The coalition authorities had the floors tiled, cells cleaned and repaired, and toilets, showers, and a new medical center added. Abu Ghraib was now a U.S. military prison. Most of the prisoners, however—by the fall there were several thousand, including women and teen-agers—were civilians, many of whom had been picked up in random military sweeps and at highway checkpoints. They fell into three loosely defined categories: common criminals; security detainees suspected of “crimes against the coalition”; and a small number of suspected “high-value” leaders of the insurgency against the coalition forces. After the attacks of September 11, 2001, it was clear that the intelligence community needed to get more aggressive and improve its performance. The Administration, deciding on a quick fix, returned to the tactic that got intelligence agencies in trouble thirty years ago: intercepting large numbers of electronic communications made by Americans. The N.S.A.’s carefully constructed rules were set aside.